It doesn’t matter what you choose to do in Oriental. 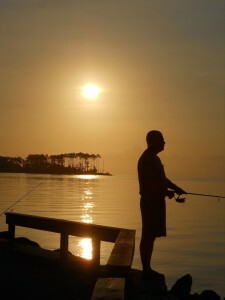 Like me, you can fish for trout, rockfish, flounder, or our world-class bull red drum. The Neuse River is also fantastic for sailing, paddleboarding, tubing, or running around on a kayak. No matter the activity, you are surrounded by some of the most beautiful scenes that all of Nature has to offer. Our local artisans are beyond compare at capturing that beauty as I found out early on a Sunday morning. Come pay us a visit on your next vacation, or for a quick weekend getaway!